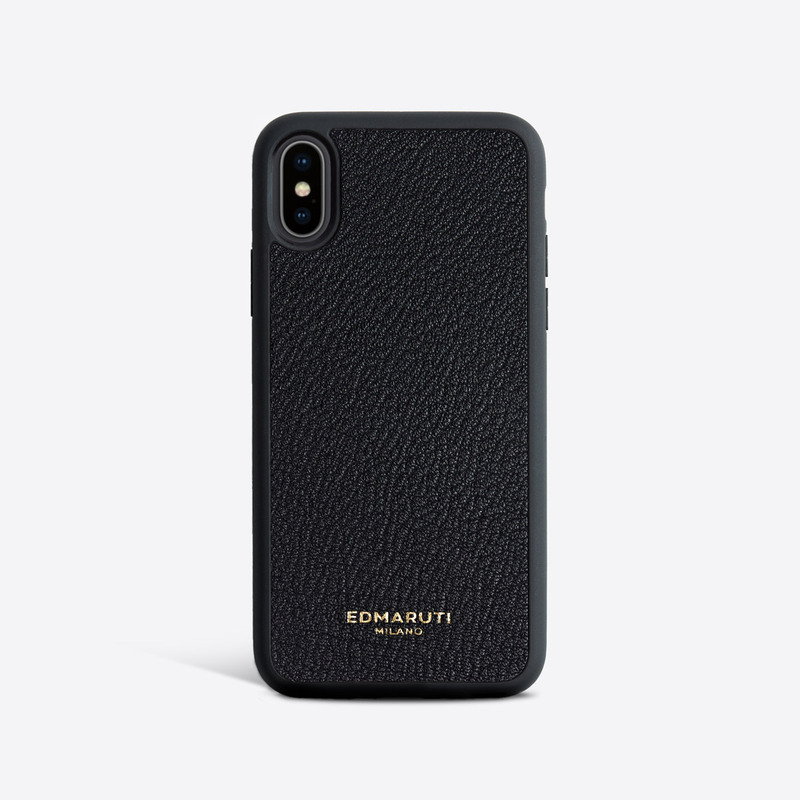 iPhone Case inlaid with genuine black Chèvre leather, gold foil stamped logo, with soft touch Rubber frame. Easy clip-on installation and open access to all ports. Case fits an iPhone X/Xs.